This was quite the week in terms of search engine events. Yahoo! & Google doing a deal, Bing losing a key person, Google in yet another lawsuit, etc. etc. etc. And while all that seemed so important Thursday afternoon as I was writing this post, Facebook dropped the bomb of improving its search dramatically. Let’s dive in! In October, the Company reached an agreement with Google that provides Yahoo with additional flexibility to choose among suppliers of search results and ads. Yahoo may use Google’s services on Yahoo’s owned and operated properties (“Yahoo Properties”) and on certain syndication partner properties (“Affiliate Sites”) in the United States (U.S.), Canada, Hong Kong, Taiwan, Singapore, Thailand, Vietnam, Philippines, Indonesia, Malaysia, India, Middle East, Africa, Mexico, Argentina, Brazil, Colombia, Chile, Venezuela, Peru, Australia and New Zealand. Notice anything in that list? Hell yeah. Europe is missing. Let me put on my tin foil hat for a wee bit and say that maybe, just maybe, Google and Yahoo! knew that doing this in Europe would raise some serious anti competitive alarms with the European Union. Where have we heard that story before? Anyway…. The most comprehensive coverage of this story is to be found on SearchEngineLand. Yahoo! has its own mobile algorithm? You’d think Yahoo! has enough choices now, as it can chose between Bing and Google to serve its results. But apparently, it has its own mobile algorithm and serves its own mobile search results. This explains, at least in part, why Yahoo! is still crawling the web. I’m curious to see where this goes… Could be big, as Yahoo! is one of the few companies on the planet right now with the cash and the knowledge to actually build a search engine that matters. There are a few other companies that could do search and do it well though… One of them being Facebook. Facebook just dropped a very splendid little bomb. It improved its search capabilities dramatically. This video speaks boatloads about their ideas for this. I can’t stress enough how important this is. Google already has a problem with the amount of mobile searches people do, this will only decrease that number of searches. Because people don’t search less on mobile, they search elsewhere. Facebook has a ton of data to search through. According to the Verge, Facebook has 2 trillion posts in its index. Personalized search (search adapted to your behavior, friends, etc. ), which for Google has been something they’ve needed to grow into over the last few years, is something that comes very natural to Facebook. In fact, it would probably suffer if it had to make un-personalized search results. This has a profound impact on how you share on Facebook: no longer can you just write something interesting. No, you should really make sure that your target keywords are shown in your Facebook description and in the title of your article as it’s shared on Facebook. Bing is the little kid crying in the corner on all of this of course. They’ve also just lost one of their finest. My good friend Duane Forrester, their head of webmaster relations, is dropping the mic (his choice of image, obviously). Duane was the last man standing in terms of search engines talking to webmasters. Google’s Matt Cutts has been on extended leave for what seems like forever now and Duane was one of the very few that had actually seen the inside of running a search engine and also had true SEO experience. I hope Microsoft replaces him with someone capable. 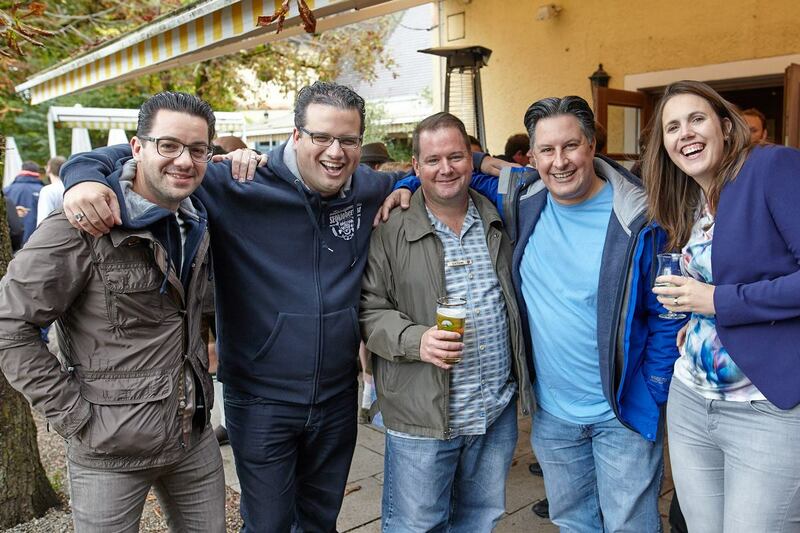 Luckily I know I will see Duane again at SEOktoberfest next year and I wish him all the best in his new endeavors! The NY Times reports that Deutsche Telekom (the parent company to T-Mobile) is starting a new antitrust case against Google in the EU. This adds on to the already quite big stack of complaints against Google in Europe. I’m waiting for the next court case now, the one in which Google and its sibling company Youtube are said to be abusing their market dominance to bring more paid subscribers to YouTube. Because that also happened this week; YouTube became a competitor to Netflix. Finally, it looks like Google let loose a few more Pandas this week. AOL Search, while relatively small, is still a thing. Microsoft just signed a deal to power it for the next 10 years, while giving a big part of their ads business to AOL. What’s more surprising to me is this news that came out on the side: Bing is now sustainable in itself. Microsoft has been pouring money into it for quite a while, as far as “we” knew, but now apparently “It’s a multibillion dollar business, and it does pay for itself”. Good news as that means they’ll keep on competing with Google! Yahoo! is testing Google as a provider for it’s search results, instead of Bing. First noticed by Aaron Wall at SEOBook, this could have quite some impact. SEOs should really watch what happens here mostly because it impacts how much traffic a good ranking in Google will give you. The reasoning is probably simple: Google ads are worth much more than Bing ads, so this would increase Google’s revenue. The fact that Yahoo’s Marissa Mayer is an ex-Googler probably doesn’t hurt in this deal either. To show that search is alive and vibrant even outside these three historical enemies, DuckDuckGo is expanding their “suggest” feature to 34 new regions. They’re not exactly a big traffic driver yet, but I’m very happy to see other options grow slowly too. Google has put out some questions that are interesting as they show what they’re thinking about. This post has details, but this sentence specifically made me happy “To view a combined Search Analytics report that includes different URL versions of your site (http and https).” Yes. Please. www and non-www too and we’re about done if we can also verify them all at once. Nothing more fun than guessing when a new update is going to hit. People at Google estimating when it might happen are usually wrong, but the latest is “a couple of weeks“. We’ll see. Just know that it’s coming. Just like Winter. If you think about how Google’s algorithm works a lot, you’re bound to think “but how does that work in language X”. Welcome to the world of a polyglot. This post has some interesting insights. I’ve been meaning to share this article (which was written in January) for a while, and keep forgetting. It details how Pinterest experiments with SEO. Fun read, might give you some ideas for testing. 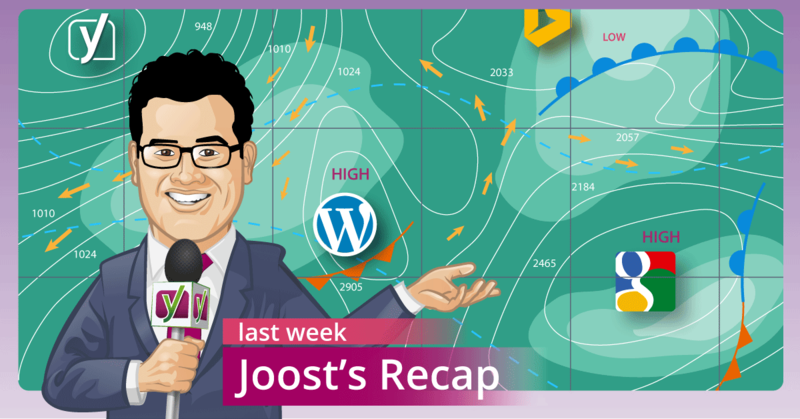 This post first appeared as Weekly SEO Recap: Search landscape changes on Yoast. Whoopity Doo! An interesting week this one, including an update that seems to have quite a bit of impact. There are also some nice new features in Google Trends, possible labels for slow loading sites and some more annoying news about Bing and keywords. It wasn’t Panda, it wasn’t Penguin, though both are still “to come”, but this week we had an update that gave several people in the SEO industry a shudder. Mozcast, which measures changes in the search results for a fixed set of keywords and calculates a “temperature” based on that, had one of its “warmest” days ever. Dr Pete over at Moz wrote a post, thinking this change could be related to the HTTPS changes Google did earlier. This was quickly refuted by Googler Gary Illyes on Twitter. And of course, most SEO bloggers stopped thinking at that point and just wrote down that it wasn’t HTTPS related. I disagree with that. I think Googlers don’t necessarily always know anymore what causes something to happen. Google’s algorithms are, in part, self-learning. They automatically determine factors that cause a site to be trusted. This week, Wikipedia started moving to HTTPS entirely. If more and more sites that Google trusts, like Wikipedia, the FBI and now also Reddit, all are on HTTPS, that factor might automatically become more important, simply because of that machine learning. So while Googlers might say they haven’t changed the algorithm, the algorithm might have changed itself. Note that Gary’s tweet said “AFAIK”. They do that more and more when talking about the algorithm. Simply because they don’t always know. Of course, this is just a theory, and it would not explain all of the changes, but nothing ever does. My own thoughts on HTTPS haven’t changed much since January last year. Google did more this week. Google Trends got a nice update, including both real time data and data for YouTube. You should definitely just have a play with that for a bit. This Wired piece on it is good. Another interesting bit was that Google UK confirmed that more than half of their searches and YouTube views now happen on mobile. Have I reminded you to get your site ready for mobile enough now? There was some fuzz the last few weeks about a Google backed company getting a penalty and then being reinstated in the search results within a week. Apparently John Mueller of Google said that everyone could get back this quickly. All you have to do is do a “fantastic job of cleaning these things up” and send in a “great” reconsideration request. I’ve spoken to a few SEO’s who do cleanups for sites that got penalized the same way this company did. No one had ever seen it happen, but that doesn’t mean it’s impossible. Google is once again testing a “Slow to load” label in the search results. It’s hard to reproduce tests like that, probably in part because where I spend most of my time online, at work and at home, I have either 4G Internet or a 200 mbit fiber connection. Doesn’t really make sense for Google to show that label on those connections. Please be mindful with noindex directives and remember that most search engines will honour it, even if it’s in the BODY element. Which brings back all sorts of bad thoughts in me, wanting to leave meta robots noindex elements in comments on posts. It’s a good reminder nonetheless. Another tweet from Gary pointed to new breadcrumbs documentation, unfortunately it doesn’t answer some of the questions I had from the old documentation so I’ve send another email to Google. to further protect our users’ privacy, we will not include the used query terms. I think that’s nonsense, because just like Google, they will give them to advertisers. I wrote a scathing piece about that on SEObook when Google announced that in 2011. This is no different. Of course Bing doesn’t really send most sites that much traffic anyway, so most of you won’t (and/or shouldn’t) care. We still have an action on our site reviews, for a little while longer you can get $100 off. See you next week! 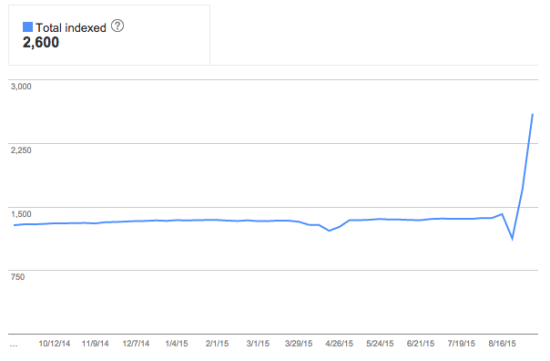 This post first appeared as Weekly SEO Recap: Google & HTTPS, Bing no longer nice on Yoast. Whoopity Doo! Compared to the first three sections, the last three are relatively small. In this final post in our series on Bing Webmaster Tools we will go over Security, Malware and Messages and share our findings. Making sure your website is secure is of course really important. We have already emphasized this on our page on WordPress security, of course. This section is about the security alerts in Bing Webmaster Tools. Malware is software that is intended to damage or disable computers and computer systems. For a website, this usually means software that is left on your website, usually in a file on your server. It’s software that is left there without your knowledge. If you find an alert in Bing Webmaster Tools about malware on your website, you should clean your site as soon as possible. Bing Webmaster Tools divides the malware into two categories: malware found on the page and malware reference found on the page. In the first case, there is an immediate issue to be solved on the page with the listed URL, in the second case, there is a resource linked on the page at that URL that has malware. The page itself isn’t infected in that last case. Malware Network Reference: any trace of a known malware distribution network is detected on your website. Browser Exploit: malicious browser exploit detected, which may cause unsolicited execution of external code. Malicious ActiveX: ActiveX interactions seem to trigger malicious activity. Heapspray: Bing detected a potential preparation for a browser exploit via a heapspray. Heapspraying is a technique used in exploits to facilitate arbitrary code execution. Malware Found on Adjacent Pages: URL is in a folder or subdomain containing malware. Malware Reported by External Source: external sources reported that malware, obviously. Sucuri is our and your friend in this. Hire these guys to clean up your site. After that, you want to address the vulnerability that allowed the malware to be installed. Simply download the Sucuri plugin and follow their step by step instructions and guidance on how to secure your website (sections Hardening and Post-Hack in that plugin). And only after this, you should Request a Review in Bing Webmaster Tools to have them check again for the presence of malware. Yet another beta in Bing Webmaster Tools: Track Certificates. This page will tell you all about the certificates that were requested by people visiting your site. The main purpose of that list is so you’ll be able to spot unexpected or suspicious certificates, so you can report them to Microsoft using the Report link. In their competition struggle with Google, Bing has released a number of additions for your website that should make your life better. Two of these are in Bing Webmaster Tools and we’ll discuss both briefly. For the first time, we empowered every webmaster to use the entity data from the Bing Knowledge repository. Since then, webmasters have added the embed code to thousands of pages to enhance their websites with the rich entity information from the Bing Knowledge system. Yes, the Bing Knowledge information is similar to the Knowledge Graph in Google (Bing added it first, by the way). It’s a separate block of content but now on your website itself! It works really simple: while the visitor goes over your website, the widget detects related entities in real time, marking them with a little Bing charm. Now I do understand the social value, but feel that this is a bit like the pop-up ads in texts / on links that were briefly popular a couple of years ago. But hey, I might be wrong. Bing tells us that this is improving engagement, time-on-site, and user satisfaction. It’s a collapsible sidebar on your website. At the moment of writing, this is only available for English entities. This Translator Widget could be useful, and is similar to the Google Translate option that is on a lot of websites. It only requires a simple copy/paste action and you are good to go. There is even a WordPress plugin to help you out. You can set the language of your website, and tell Bing to automatically translate based upon the visitor’s browser language, or have the visitor pick the language himself. I’m not a big fan of these widgets, Google or Bing. I understand that these are ‘convenient’, but rather see people putting some effort (or money) in a decent translation. Go read our post on hreflang. It’s not that hard. Administrator: if anything changes to the Bing Webmaster Tools service, the administrator will inform you about it. Crawl errors: if an error occurs during the crawl of your website, Bing Webmaster Tools will automatically tell you about it. Index issues: if Bingbot has any problem indexing your site, a message will be sent as well. Malware: following the section on Malware, you’ll receive a message here that malware has been found. Bing Ads: automatically generated messages about Bing Ads. The Current and Archived sections at Messages are self-explanatory. Bing Webmaster Tools: It’s a wrap! With this post, we conclude our series on Bing Webmaster Tools. We have compared Bing Webmaster Tools to Google Webmaster Tools a couple of times during these four posts. Is that a fair comparison? For me it was like having Skippy sandwiches every day and then trying a jar of Peanut Butter & Co. It’s different, but the same product. One could say variety is the spice of life, but in this case I tend stick to Google Webmaster Tools for the larger scale and user base, although the Markup Validator tool in Bing Webmaster Tools will come in handy now and then for quick checks! For more reading on Webmaster Tools, please find all our related articles here. This post first appeared as Bing Webmaster Tools: Security, Widgets and Messages on Yoast. Whoopity Doo! In this second Bing Webmaster Tools post in our series on Webmaster Tools, the focus is on reporting. We’ll be going over a number of pages, and try to explain what information is available and how this can help you improve your website. Or get new insights about your audience, of course. This section is called: Reports and Data. Note that although we very much like the ‘broader’ setup of Bing Webmaster Tools, I personally tend to use Google Webmaster Tools first for one simple reason. Google dominates the search engine market. There is data from much more users in Google Webmaster Tools. Having said that, there are a lot of things in Bing Webmaster Tools that could be used to further improve Google Webmaster Tools. Now let’s go over the different chapters in this section of Bing Webmaster Tools. As you can see in the graph below (upper right corner), Bing Webmaster Tools combines data from Yahoo! and Bing for these stats. It also painfully highlights the difference in use of the webmaster tools: as you can see, our website gets around 80 clicks a day from Bing and Yahoo!, compared to about 9,000 clicks on average per day from Google. It’s nice to align the number of pages crawled and the crawl errors, but as with most graphs like this, it’s the trend that matter the most to me here. If all of a sudden the graph flatlines at zero (except at the crawl errors), there must be something wrong. There is a lot going on here, right? All the arrows and numbers tell you what happened with for instance the Clicks from Search, and how often you appeared in search. For your convenience, Bing has divided the clicks by the appearances, giving you the click-through rate (CTR). Who’s ‘youst’, right? I can’t get used to that downwards pointing arrow with a number, it’s like we dropped 675 clicks. But that’s not what is meant. We had 675 clicks from Bing search result pages to our homepage where the search keyword was ‘yoast’, and that is a drop from the beginning of the selected time period. Back to the main table for your Page Traffic. The last column we haven’t mentioned yet is Average Search Appearance Position. In most if not all cases, this number is higher than the average click position, simply because we all know the higher the position, the more clicks. Strange thing is that our robots.txt is actually updated a while ago already. Where Google tends to find these updates within a day, sometimes hour, Bing still shows some old content in here. We re-fetched the robots.txt during the writing of this article, just to make sure. The fetch shows the current content of our robots.txt. I’m sure Bing Webmaster Tools will find that eventually. Much like the Page Traffic table, this table shows you the number of clicks from search results in Bing, as well as all other things explained there. It are keywords instead of URLs in this table, but that is the main difference. As you can see, that last column is different. You can view the pages instead of keywords (at Page Traffic). So it’s basically the same table, but the other way around :) Use to your preference, so to speak. I especially like the fact that Bing tells you how they consider these suggestions to influence your SEO. Bing agrees with Google that meta descriptions are like invites to your website that should have a clear message about the contents of the page and tells that the severity of these meta descriptions is high. The fact that the meta description is missing, isn’t bad* per se, but it’s good to know where these are missing. You can easily click the suggestion title to find the pages these should be added. If you click one of the (50, it’s limited to that) links on that Detail page, you’ll be taken to a SEO Analyzer (also in beta). More on that SEO Analyzer in our next post on Bing Webmaster Tools. We don’t set the language because not all sites are in English. Multi-language support is on the list, will consider then. It seems our knowledge base – we’re using HelpScout’s awesome Docs – is missing meta language information. I can imagine that being so due to their global user base. In that case it’s a good thing language isn’t templated. All in all, this is a very useful section you can use for some basic SEO check of your website. * in case you can’t come up with a proper meta description, let Bing (or Google) decide. Both will create a meta description that in most cases is constructed from a text snippet containing the keyword used in search. This can be beneficial for conversion, as you will understand. As you can see, this includes the anchor text. There are up to 20,000 external pages listed. As the popup isn’t suitable for that number of links, the export option in the upper right of the popup comes in really handy for further analysis. Bing Webmaster Tools offers that export option on almost all pages, by the way. Click the row marked with * in Bing Webmaster Tools to find all URLs that resulted in that error, are redirected, etc. It’s nice to see if all pages you have excluded are indeed excluded, for instance. Clicking a link in this table isn’t providing more information, but gets you to the page at hand to check f.i. if the error or redirect still exists. As mentioned right above the table, Bing refers you to the Index Explorer for more details. It would be nice if I could mark a 404 as fixed here, by the way (in case any of the Bing people reads this). In case Bing detects any malware on your website, it will list the URLs of potentially infected pages here. Malware (short for malicious software) is “any software used to disrupt computer operation, gather sensitive information, or gain access to private computer systems.” (Wikipedia). Of course you don’t want that on your website. In the unwanted case you have some URLs listed here, fix the malware or have our friends at Sucuri clean this up, and Request a Review via this same section in Bing Webmaster Tools. To round things up, the Reports & Data section in Bing Webmaster Tools gives you a lot to work with. Be sure to add your site to Bing Webmaster Tools and check this section to learn more about what can be improved for your website. If you have any additions or remarks, these are more than welcome. If you are an absolute Bing adept, please let us know what hidden gems you have found in the Reports & Data section in Bing Webmaster Tools! This post first appeared as Bing Webmaster Tools: Reports and Data on Yoast. Whoopity Doo! We recently did a series about Google Webmaster Tools. So we thought it was time to do a series about Bing Webmaster Tools as well. Bing isn’t that big in The Netherlands, or Europe, for that matter, but it still holds some ground in the US. The most important reason, however, is we think Bing Webmaster Tools is pretty awesome. It offers some really nice tools and details you, unfortunately, won’t find in Google Webmaster Tools (anymore). In this post we’ll go into the first main menu item of Bing Webmaster Tools and its subitems. But first, we’ll explain how you can set it up for your own site! Since Bing Webmaster Tools is probably less known than its Google counterpart, we’ll let you know how to set it up! So lets start with the beginning. Don’t worry, this doesn’t mean you’ll need an @outlook.com or @hotmail.com email address. You can actually use any email address you like. Go here to sign up for a Live account and just follow the steps. Once you have a Live account, you can go to Bing Webmaster Tools and sign in with the account you just created. Hit “Save Changes” and it’ll remove everything it won’t need, just your ‘key’ will remain. After that hit verify back in the Bing Webmaster Tools setup. If you have some caching, this might not work instantaneously; clear your cache or wait for a bit until you can verify it. Once you’ve verified it, you’ll be able to access your Bing Webmaster Tools! So lets get to explaining what you can play with in Bing Webmaster Tools. The sitemaps menu item is about just that: sitemaps. Here you can (re)submit, remove or export sitemaps. Adding a sitemap is simple, just copy the sitemap’s URL, paste it in the appropriate bar and hit Submit. As with Google, if you have multiple sitemaps under a sitemap index (as our WordPress SEO plugin does for you), you just have to add the sitemap index. If you’ve added a sitemap index, just clicking that index sitemap’s link will take you to all underlying sitemaps. You can also see whether any errors occurred when crawling your sitemap, when it was last crawled and how many URLs were submitted through the sitemaps, for instance. In this section you can add URLs of pages that you think are important directly into the Bing index. This feature is limited to 10 links a day and 50 links a month per domain. Whether this actually makes sure your content is indexed more quickly than through your sitemaps, for instance, remains a bit unclear. URL Parameters are anything after the normal URL, so usually anything after a question mark in your URL. If you want Bing to ignore any of these parameters, you can tell them here. Just to be clear: this will ignore only the parameters, it’ll literally remove the parameters from the URL before adding the page to the index. So this does not mean any URLs with these parameters will not be indexed, you should do that in the Block URLs section. A URL with parameters is actually viewed as a different URL as the same one without parameters. So “https://yoast.com/?utm_source=” etc… would actually be considered a different URL than just “https://yoast.com/”, even though they end up at the same place. So using this feature can prevent duplicate content. They have some preset crawl rates, which are made to prevent an overload of your server. So when your site is busy, they’ll crawl your site less, and when it’s less busy, they’ll crawl more. However, you can also set a custom crawl rate. Just click in the graph to increase or decrease the crawl rate. Note: If you have any info on crawl rate specified in your robots.txt, that will take precedence over anything you set up here. In the Deep Links section you can block pages from showing up there. What’s nice about Bing here, is that they allow you to remove the URL showing as a deep link for all URLs, a specific URL or even for a specific country or region. What’s not so nice about Bing here is that they limited this block to 90 days. The block can be extended, but that means you have to revisit your webmaster tools every 3 months to extend the block you set. The Block URLs section is very similar to the Deep Links section, in that it blocks URLs from showing up in the Bing search results. Adding a URL here will block the URL from showing up anywhere in the search results of Bing, though. Annoyingly, they’ve again set the block to a maximum of 90 days, so you should only use this feature if you’ve just deleted a page from your site. Any permanent pages you want to block should be blocked in robots.txt. The page preview is just that: a preview of your page. Bing doesn’t show this page preview everywhere, but they do in for example Bing Smart Search in Windows. You can tell Bing to refresh or remove the preview of a specific URL here. Just fill in the URL and click Fetch. You’ll then be given a choice to either block the preview or refresh it. Here you can disavow links you got from other websites. If you don’t know what disavowing a link means, read the post by Michiel on cleaning up bad backlinks. The best feature here by far is that you’re able to disavow not only a single page link, but also complete directories or domains. This can save you a lot of time when cleaning up your backlinks. In this section you can set a geo-targeting for your domain, subdomain, directory or page. Geo-targeting means you tell Bing the part of your website you selected is meant for a specific region or country. For instance, if we had a German version of yoast.com under yoast.com/de/, we’d set the geo-targeting for the yoast.com/de/ directory to Germany. This doesn’t mean it won’t show in Bing results in other countries, it just makes it more clear to Bing what people should be seeing the content. One note about this: although you can set geo-targeting for your domain, if your domain has a country-code (.nl, .de, .co.uk for instance), geo-targeting your entire domain won’t work. Directories and pages can still be geo-targeted. If you need to verify your website again, you can do so here. Under Connected Pages you can tell Bing any social media presences you have elsewhere. By connecting these pages to Bing Webmaster Tools, you’ll be given quite some nice insights. For instance, we’re able to see how many times our twitter account appeared in search and how many times people clicked those appearances. We can even see what keywords people used to get our twitter account to appear, how many backlinks our twitter account (or status updates) has and what anchor texts were used for those links. Here you can manage the users that have access to Bing Webmaster Tools for the current site. Although Bing is definitely used less than Google, their Webmaster Tools are actually pretty awesome. So if Bing gives you a relevant amount of traffic to your site, it’s definitely something you should check out! The next post on the next main menu item in Bing Webmaster Tools, written by Michiel, will be published tomorrow. This post first appeared as Bing Webmaster Tools: Configure My Site on Yoast. Whoopity Doo!